Second retro gaming con this year, and I was looking for some very specific items. I bought these (Isolated Warrior & DuckTales) with the leftover of my budget. They went for much cheaper than they usually go, especially DuckTales (which was a total steal), so I had to get 'em. 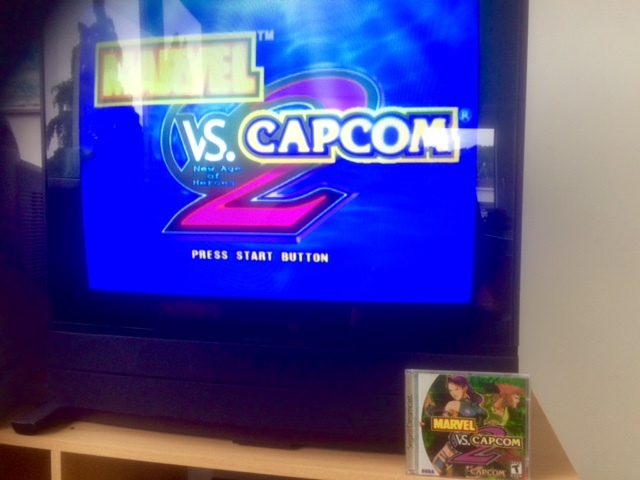 I never got on with the way the XBLA version of Marvel vs. Capcom 2 looked (on the plasma in the living room) and as such spent very little time with it. I also deleted it to make some required space on my HDD, so getting a hard copy was a big priority. I was actually looking for the NTSC-J version since it's dirt cheap in comparison, but only found the North American version. Could still get it for a decent deal and now I have a readable manual and menu, so that's good. BIG improvement in terms of visuals already! Another high priority to look for, as I've got the whole series, except 3 and I always heard that Subsistence is the way to play it on PS2. Sweet deal I got for it, too, looking at the eBay rates. 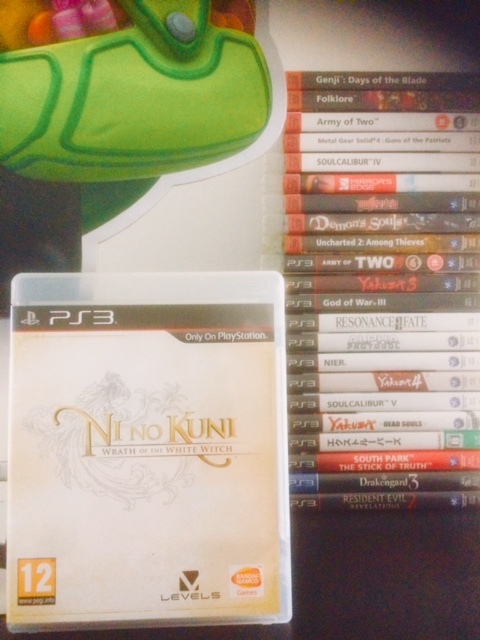 Ni no Kuni was always a game that made me mad I didn't own a PS3 when I didn't. Now I'm no longer mad. 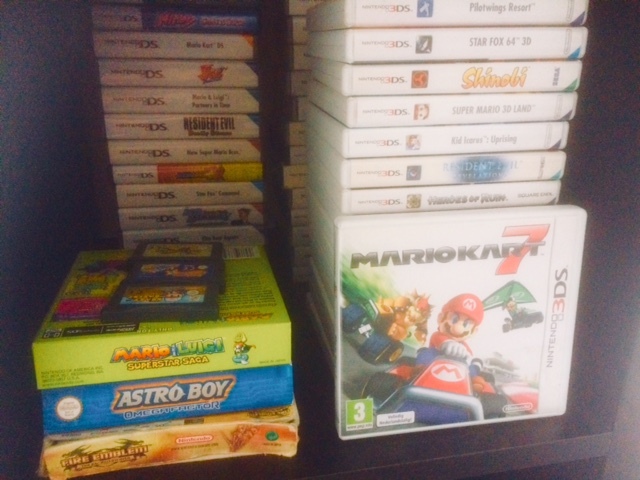 Oh, Mario Kart 7, released late 2011, when I still lived and worked in Germany... You never went down in price, hm? Well, an actually attractively priced second hand copy made it that I'm now finally in possession of this game. Much to my son's delight. Another high priority to look for, as I've got the whole series, except 3 and I always heard that Subsistence is the way to play it on PS2. I would argue that Subsistence is even superior to the HD version thanks to all the extra content, so that's definitely a sweet deal. Have you played any version of the game already? No, not yet. Excited that the MSX games are on there as well! EDIT: Well now I really wanted to play through 2 and 3 again on my Vita! Subsistence has the Guy Savage dream sequence, the Snake vs. Monkey and the Boss battle modes that were removed from the HD version for licensing reasons. Nice man, I missed my local game fair as it was on the same day as the World Cup final, next one is in October. Nothing quite feels like having a list of games and hoping to come across them at events. How do you find the prices at these events ?? In the UK they are very often going rate or higher, so you very rarely get a bargain. They tend to be more focused on elusive games, as opposed to cheap games. Did you get everything on your list, or do you still have some things you want to pick up ?? How you finding your B&O, my mate just picked one up for very cheap on FaceBook Market place, I introduced him to an RGB SCART for his MD2 and he's now well and truly starring down into that rabbit hole. I just got hold of the default geometry settings for my PVM and have set everything back to default, as messing with the settings each time you switch console can mess it all up. It seems to be the GameBoy player on my GameCube that teases the biggest adjustment due to the square frame it puts up around the game. Over here, it's a little bit of everything. Thing is, you see almost the same booth owners at every convention and since a couple of years they keep showcasing the same elusive games that go into the hundreds... I think there is a point now where they just want to sell, because I see some prices coming down. I almost bit for a loose copy of Hagane, that the seller was willing to hand over to me in exchange for 90 odd euros. Always wanted that game and I know it's super rare, but that would have been most of my budget for the day gone. Also: haggle. 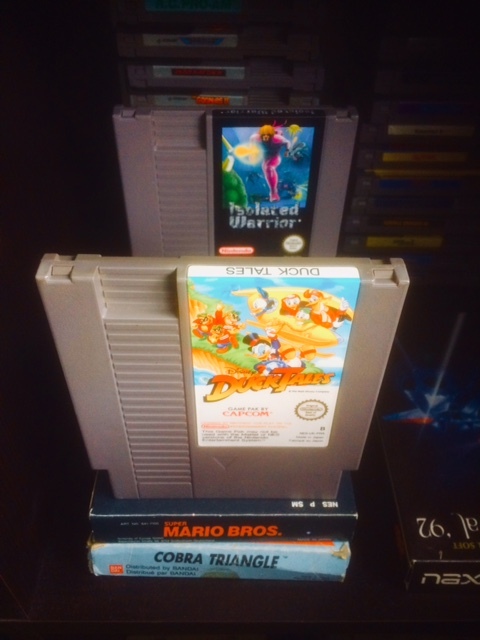 Except for those super cheap NES games, I got the prices down for all my purchases. 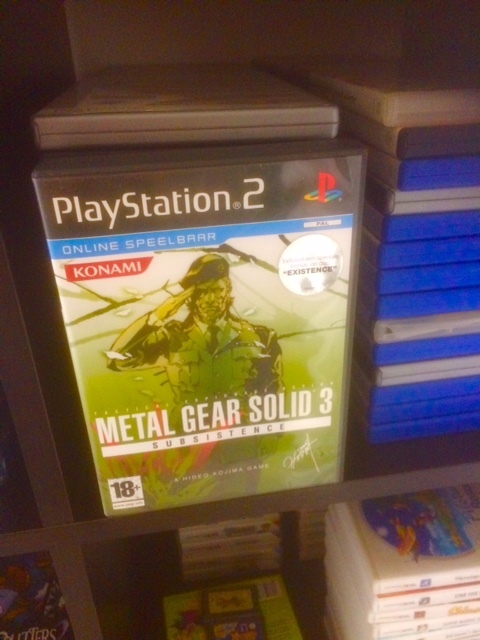 MvC2 cost me 45 and MGS3: Subsistence cost me 15 (looked before on eBay and I saw it only for 50+). Both are in excellent condition. Got 2 out of the 3 most urgent. I'm also constantly looking out for a copy of Jet Set Radio Future for o.g. Xbox, but I've never even seen a copy. Through a local website called Marktplaats.nl, that people sell their old junk through. They wanted 40 for it, which I was happy to pay. Huh, thats cool. Haggling, in my experience works the other way around. I'm more likely to get a deal on a few cheaper games that I am the more expensive ones. Last year, I made an offer of £300 for two GameCubes games (Frogger & Gadget Racers) to which at the time would have saved me £25 to be polity turned down. I know for a fact the lad took them both home, as I made him the offer again the day after and he still refused. Sorry, my bad using colloquialism again. I meant, how is it working out for you, happy with it ?? ^^^^ Ah. Sorry for misreading. Already thought the grammar was uncharacteristically shoddy! Yeah, I've got this beast for, what, more than 2 years now. It's absolutely essential for standard definition gaming for me and never fails to make me realise why I fell in love with certain games of older generations to begin with. I've got a smaller Trinitron next to it, with the cartridge based systems connected to it and the big B&O for all SD disc based systems. About haggling; you always have people like that and for years it was the same here. But prices are coming down somewhat, now and you can tell that some of these sellers now want to, well, sell. Curiously, it's any decent Mega Drive and Master System game that's really on the rise, price wise, that is. I would love a copy of Decap Attack or Quack Attack, but I don't want to put down 50 euros for each! Ah, sweet man, I've never actually seen one in real life but like I said my mate has one so I'm sure I'll see it soon. Is it handy having two CRT's then, I just have the one Sony PVM which I'm over the moon with but it is a faff having to switch RGB cables about when you want to change consoles - two would be a so much better. I've got a spare CIB UK copy of Quack Attack if that's any good to you, I can post it too you if you like, you can have it . ^^^^ My dude, I would LOVE to give it a warm, welcoming home! That should be Quack Shot for Mega Drive, of course. Not sure where I got Quack Attack from. Yeah man, , I knew what you meant . They're not that expensive here in the UK at the moment, I picked up a spare copy in a bundle I snagged a while ago. I'll get it out to you. So after reading the upcoming console special thread for the GameBoy, it gave me a nudge to look about for a few items I've wanted for a while. I nearly have all the different color (colour) GameBoy's, so when I saw a local add for a Lime Console that I needed I was drawn to it. It was priced quite high though, as it was part of a bundle and box of stuff. This was the pic in the add. The bundle was up for £50, I was willing to pay up too £20 for the GameBoy and I could see that one of the games in the box was Mega Man: Dr. Wily's Revenge which was a decent priced game and a game I've been looking for. So by my reckoning, the remaining eighteen or so games needed to be games I didn't already own(63) and be worth that £20. I picked it up from the owner in the dark and placed the case on the passenger seat and drove home. Once I got home it turned out that there were actually 22 games and that already had 7 of them. That left me with 14 games to find £20 of value in to make the gamble worth it. That's how my mind works it anyway. But these games, these ones here, are games the games I'm most pleased with, the bottom three are games I've actively been looking for and wanted to play again for a while. These games alone are also worth the price I paid for the whole bundle, with Belmont's revenge being a £30 cartridge. It's the US version but it plays and is RAD. So the lucky dip paid off, they don't often do really but this one went so well I thought I'd share it. Happy days, can't wait to play more of Belmonts Revenge. Who or what is Tetris 2? I’m pretty sure we covered Tetris 2 (in brief) on our Tetris podcast.